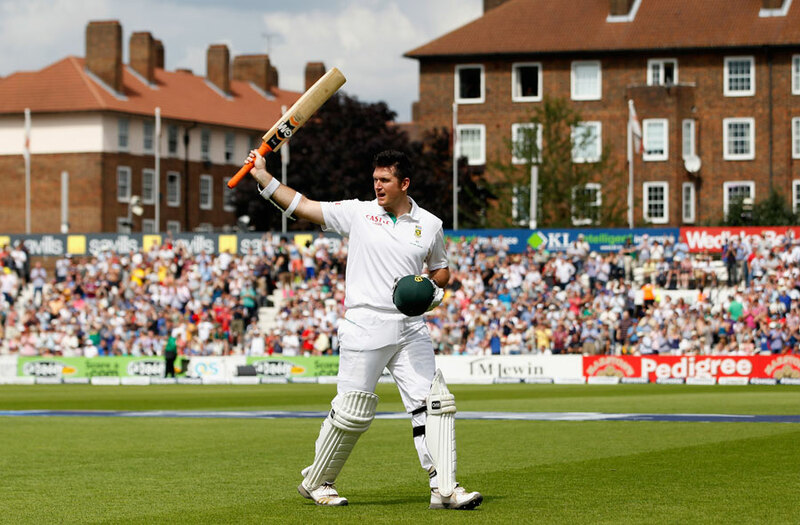 It was an incredibly tough day for England's bowlers as South Africa's batsmen piled on the runs. No one can deny that Graeme Smith is an ugly player to watch, but he has been very effective over the years and, fittingly, scored a century in what is his 100th Test. Hashim Amla never looked troubled at any point during his innings and his strokeplay and timing were top notch. The pair put on a massive 259 before Smith was unluckily dismissed by Bresnan; the ball squeezing between bat and pad and dribbling onto the stumps. There is nothing more dispiriting for a team than the scoreboard reading 260-2 and Jacques Kallis, one of the greatest batsmen of all time, striding out to bat. He looked to be positive, especially against Swann, and had moved serenely to 81* at the close, Amla ending on 183* and SA on 403-2. England's bowlers lacked imagination and at times appeared to be waiting for an error than trying to take a wicket, a mistake against the strongest batting line-up in world cricket. The sun was out in full force and the Oval pitch is a featherbed; Swann got the occasional ball to turn or keep low, but his usual consistency was lacking. England face a huge challenge to get back into this match, but will be confident if they have to bat to save the game under these conditions.